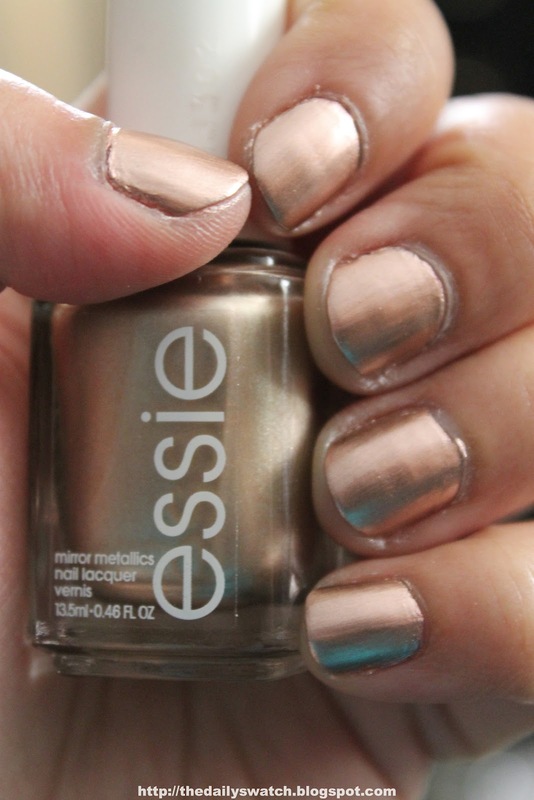 Penny Talk is part of Essie's Mirror Metallic Collection for Summer 2012. I got it at Meijer in the US for $7.99. 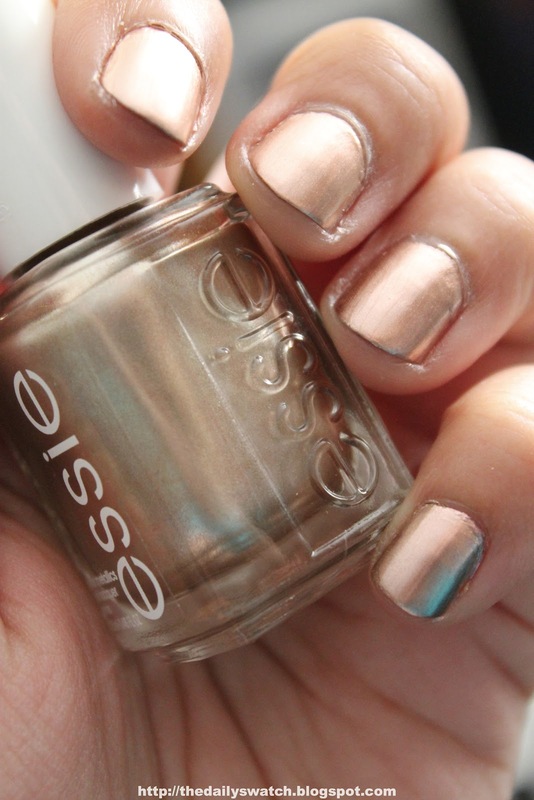 I haven't noticed it in Canadian stores, but it's available online from NailPolishCanada. It definitely has a metallic finish and looks just like the colour of a new penny. It can also look rose gold in certain lighting. 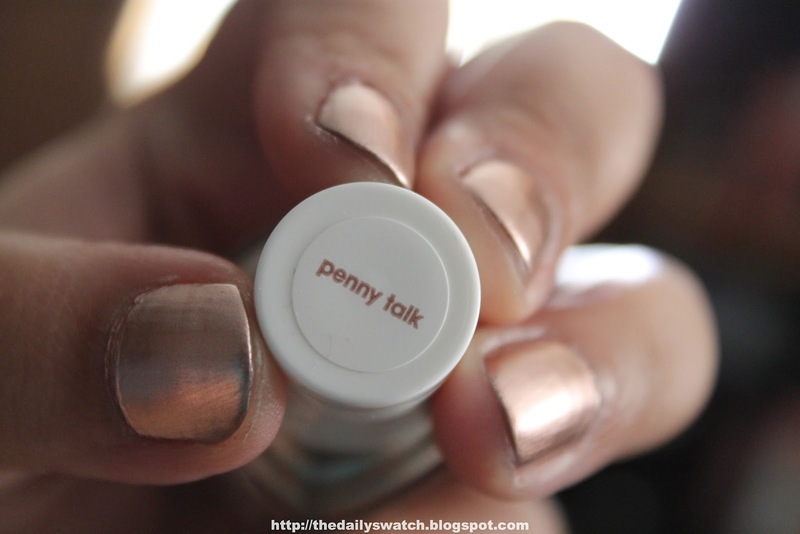 It dries more quickly than regular nail polishes because of the metallic finish, so this is a great nail polish line for those who don't like long drying times.